For many, thinning hair is just a fact of life. In fact, most people lose around 100 hairs naturally everyday. But when hair loss is significant and noticeable—it’s time to consider a cosmetic intervention. 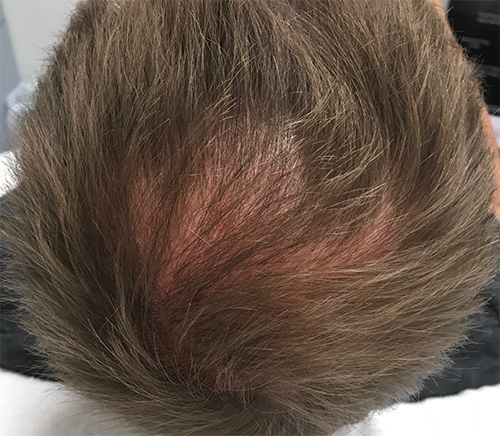 Dr. Anna is now offering Platelet-Rich Plasma therapy [PRP], a non-invasive and effective treatment to increase hair volume and strand count, and decrease shedding—in three easy steps. Step One: Dr. Anna draws the patient’s blood and places the tubes in a machine called a centrifuge that spins and separates the red blood cells from the nutrient-rich yellow plasma. The plasma boosts growth and facilitate regeneration using the body’s own platelets. Step Two: Dr. Anna injects the plasma into the scalp at the level of the follicles. Dr. Anna performs a series of injections across the scalp, approximately a half-inch apart. These injections boost the blood supply to the hair follicle that triggers hair growth. Step Three: PRP is just one part of a multifaceted plan to treat hair thinning and loss. In addition to PRP, Dr. Anna may recommend a series of microneedling sessions that have an unparalleled ability to regenerate hair and skin, especially on the face. To bolster this process, Dr. Anna may prescribe Rogaine, and a hair oil from her own range. Dr. Anna recommends three PRP treatments over 4-6 week period, with maintenance treatments performed every 4-6 months. There is little to no downtime. Most patients can improve their results by microneedling once a month at home using a Dr. Anna Dermal Roller and a Mesotherapy solution that mimics the effects of plasma. If you’re experiencing hair loss, contact Dr. Anna today to discuss your options.